Best Buy's stock plummeted, one day after the retailer unveiled a management shakeup and reduced its profit expectations for the third quarter. Best Buy's (BBY) stock dropped 10% Thursday. The company, which operates 1,400 stores selling electronics goods, warned Wednesday that it expects profits to drop by at least 10% in the third quarter, compared to last year. Best Buy also expects sales to decline at a similar pace to what it has experienced earlier this year. Its sales fell 5.3% in the first quarter and 3.2% in the second quarter. The company said Mike Vitelli, head of its U.S. business, will retire at the end of the year and Tim Sheehan, executive vice president of U.S. operations, will leave the company at the end of this month. Shawn Score has been appointed to lead the U.S. retail stores business. Jude Buckley was promoted to head the mobile phones and tablets unit, known as its connectivity business, which Score led. 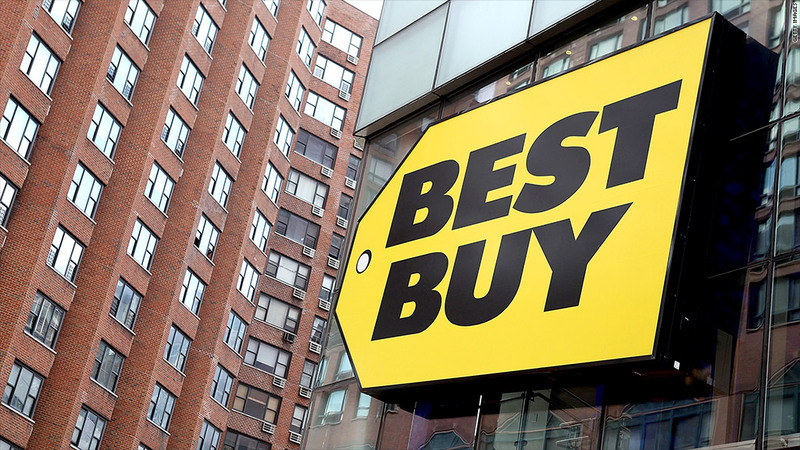 Best Buy has struggled in recent years, in the face of competition from online retailers like Amazon (AMZN) and discount retailers like Wal-Mart Stores (WMT). The changes come at a tough time for Best Buy as it girds itself for the holiday shopping season. In August, Best Buy hired former travel executive Hubert Joly as its CEO. The company has gone through months of uncertainty, triggered by the abrupt departure of former CEO Brian Dunn in April after an internal investigation into his relationship with an employee.